* The interest rate you pay, and the amount you are able to borrow may vary depending on your saving and loan record with the credit union. * All figures given on this website are for your general information only, and give an estimate guide to loan repayments. Any statements on this website do not purport to be authorative or legally binding. * All information contained on this web page is correct at time of publishing. The Credit Union accepts no responsibility for errors due to changes in rates or offers which have occurred after this date. You are advised to check with our offices for up-to-date rates and offers. Join the Local Revolution for Affordable Loans! Please note that this loan rate is not eligible for credit consolidation loans. Eligibility is subject to loan approval and our loans assessment. Our Discounted Holiday Loan 2019 Has Kicked Off! Our discounted Christmas loans are available for loans received by between 1st April and 31st August 2019, providing great value for anyone planning an escape this summer. Available to new and existing members to spread the cost of holidays, please select the holiday loan on the payment calculator above to find out how much a loan will cost you. Rewarding our savers is a priority for us: that's why we reserve our best loan rates for those who save with us, and agree to keep their savings held in their account until their loan is repaid. Our rate is very competitive, and we believe is one of the best rates currently available on the High Street. if you would like to apply for a saver reward loan, you can apply by logging into the members' area of our website. 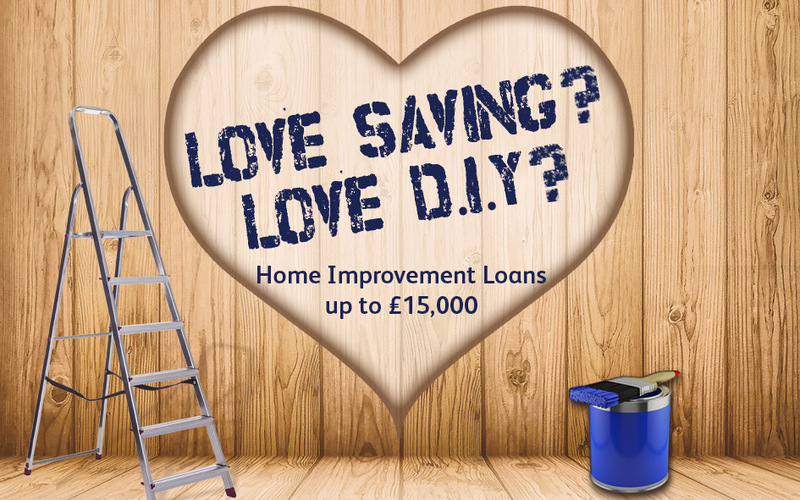 For those embarking on a home improvement project, we offer loans of up to £15,000. See below our examples of typical loan repayments for low and high value loans. Contact us for more details or apply online today if you have a home improvement plan we can help turn into a reality. Many of our members are looking for affordable low value loans under £2,000, and we specialise in offering these type of loans, which prevents having to use more expensive options, which can include overdrafts, credit or store cards, home lenders and payday lenders. Our loans calculator above can be used to show how much you can save by borrowing from us for a low value loan. For those looking for loans for a larger amount, for example for home improvements, cars or a wedding, and are not eligible for our platinum loan (see criteria above), we offer competitve loans up to the value of £15,000 in excess of the savings a member holds with us. So, for example, if you have £2,000 of savings, you can apply for a £17,000 loan. Please note that the final monthly repayment will differ to the amount shown above. These are standard rates for illustration purposes only: applicants may be entitled to a loyalty or promotional rate which will reduce the monthly repayments and total amount repayable. If you currently have outstanding credit with overdrafts, credit cards, store cards or loans etc, you may be making a number of repayments througout the month at different interest rates. A loan to consolidate your credit would allow you to make one monthly repayment at a fixed rate. Our credit consolidation loan is offered at 41.2% APR for loans up to £1,000, and 18.9% APR for higher value loans. We cannot guarantee that these options will reduce the overall cost of borrowing - this will depend on the on the interest rates you currently pay on your outstanding credit. We strongly recommend that you compare these with the the cost of our credit consolidation loan before deciding if this product is right for you. Please note that if you have an existing loan with us, and apply for a top-up loan, the loan offered to you will be at the credit consolidation rate if either your existing loan or new loan application is for this purpose. We would therefore recommend repaying any standard existing loans with us first before applying for this product. Please talk to us about whether consolidating your debt with us could save you money and help you clear your outstanding balances.